This all-suite Unlimited-Luxury oasis is actually two adults-only contrasting yet complementary resorts in one. 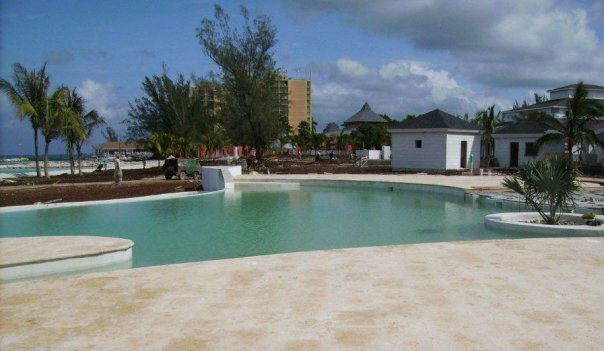 This resort features a British colonial air creating a contemporary yet conservative experience. Guests have the opportunity to choose from lavish spas with oceanfront massage cabanas, gourmet restaurants, chic bars and lounges, and endless daily activities. 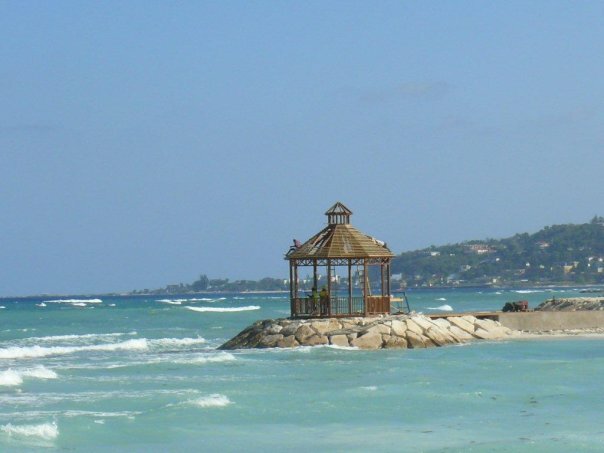 Secrets St. James Montego Bay together with its counterpart, Secrets Wild Orchid, provides a dual, adults-only fantasy world in which to play, relax and reconnect. The stunning British Colonial architecture honors Jamaica’s history and heritage creating a contemporary yet conservative experience. This all-suite beachfront all-inclusive resort offers the privileges of Unlimited-Luxury® in a romantic, tropical setting on over 1/2 mile of private white-sand beach. 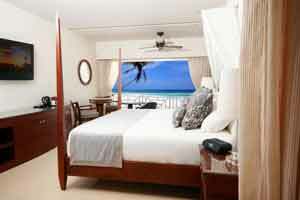 With 350 opulent suites, this adults only resort, inspired by Jamaica’s rich history, features 24 hr. room service, breathtaking ocean views and superb amenities. All suites offer spectacular views across the ocean, pool or gardens from spacious private balconies. Secrets St. James is ideally located on the northwest coast of Jamaica, only 20 minutes from the Montego Bay International Airport. Package is complimentary for couples who reserve a minimum 7-night stay in a Junior Suite Ocean View room category (or higher) or if more than 5 rooms are reserved for a min. of 3nts in any category. Couple must present copy of wedding certificate or wedding invitation upon arrival and reservation must be coded “Honeymoon” or “Anniversary”. Opening March 2010. Secrets St. James Montego Bay together with its counterpart, Secrets Wild Orchid, provides a dual, adults-only fantasy world in which to play, relax and reconnect. The stunning British Colonial architecture honors Jamaica’s history and heritage creating a contemporary yet conservative experience. This all-suite beachfront all-inclusive resort offers the privileges of Unlimited-Luxury in a romantic, tropical setting on over 1/2 mile of private white-sand beach. 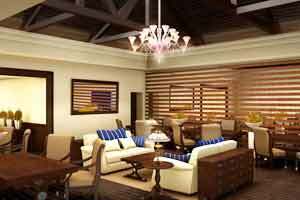 With 350 opulent suites, this adults only resort, inspired by Jamaica’s rich history, features 24 hr. room service, breathtaking ocean views and superb amenities. All suites offer spectacular views across the ocean, pool or gardens from spacious private balconies. Secrets St. James is ideally located on the northwest coast of Jamaica, only 20 minutes from the Montego Bay International Airport. Secrets St. James is one of two contrasting (yet complementary) resorts that make up the Secrets Montego Bay Resort & Spa complex. Secrets St. James takes its more traditional inspiration from Jamaica’s rich island history, while the adjacent Secrets Wild Orchid offers a more contemporary island experience with warm neutral tones and unique indigenous art. Yet access to the amenities of both resorts means having a vast selection of gourmet a la carte restaurants, bars and lounges, a lavish spa with oceanfront massage cabanas, a private concierge on every guest floor, a state-of-the-art open-air theatre and a full array of activities, all part of the Secrets Unlimited-Luxury services. Guests of Secrets St. James may choose from six a la carte gourmet restaurants and two casual ocean view buffet venues as well as 24 hr. room service. Casual fare is also available during the day at two open-air bars serving salads and sandwiches. 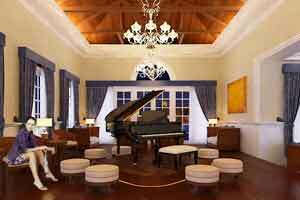 Ten bars and lounges located throughout the Secrets Montego Bay Resort serve a wide selection of international and domestic brands. Reservations are not required at the a la carte specialty restaurants. Casual open-air ocean view restaurant at St. James serving casual breakfast and American and Tex-Mex lunch. Dinner is casual elegance and features steaks and grilled favorites. Located in the Main Square, casual air-conditioned restaurant serving early and late morning continental breakfast and international breakfast and lunch buffets. Located in the Main Square, air-conditioned gourmet dinner restaurant serving classical Mexican cuisine. Located in the Main Square, air-conditioned gourmet dinner restaurant serving Jamaican-Caribbean cuisine. Located in the Main Square, open-air dinner restaurant serving Pan-Asian cuisine. Located in the Main Square, open-air trattoria-style Italian dinner restaurant with indoor and outdoor seating and wine cellar. 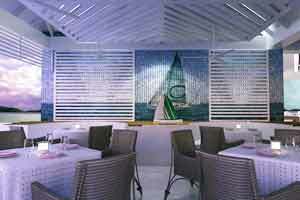 Located in the Main Square, air-conditioned gourmet dinner restaurant serving contemporary French cuisine. Located at Secrets Wild Orchid, ocean view dining for breakfast and lunch. Fresh seafood and grilled specialties for dinner.